One persistent myth concerning the Dragoons on the frontier is that they were well-equipped with the most modern of weaponry. 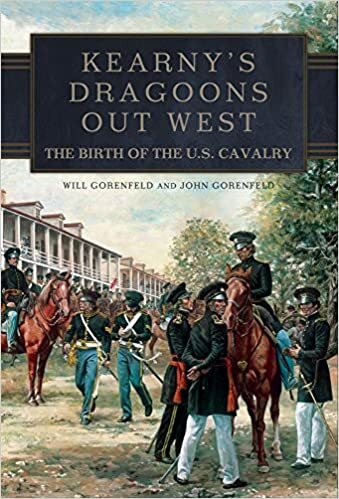 In reality–and that reality would remain true until the late fall of 1858–the Dragoons who served out on the west coast were, for the most part, armed with firearms that bordered upon obsolete. This is not to say that these weapons were old. Indeed, none of their firearms were technically out of date. Rather, they were what the War Department, controlled by a penny-pinching Congress, could afford to issue. The Ordnance Department arsenals were filled with large stocks of these weapons. Also on hand were immense inventories of ammunition. The acquisition of modern pistols and carbines would not only render obsolete those weapons on hand but would also require the costly procurement of new ammunition. An economy-minded Congress was not about to authorize new funds for these purchases. Secretary of War Jefferson Davis, graduate of West Point and former Colonel of Mississippi Volunteers, also appreciated the need of better firearms, but could only do so much. Davis authorized the testing of new firearms and the updating of existing weapons but, lacking congressional appropriations, could not purchase large numbers of new weapons for the troops. Responding to growing criticism, Colonel Henry K. Craig, the chief of the Ordnance Department wrote that if the musketoon ï¿½is not a suitable arm for cavalry, I do not know where to look for one that will answer.ï¿½ As it turned out, Colonel Craig did not have to look far for a replacement weapon. Christian Sharps, who had worked on the Hall carbine while employed at the Harperï¿½s Ferry Arsenal, by 1848 had patented a breech-loading, rifled carbine. The design was relatively simple. Pulling down a lever located as part of the trigger guard lowered the slide, and a paper or linen cartridge was then placed into the breech. When the slide was forced back upward, it sheered off the rear of the cartridge and exposed the powder to ignition. The Sharps rifled carbine fired at the revolutionary rate of 8 to 10 rounds per minute–with accuracy. The Ordnance Board tested the weapon and was favorably impressed. In 1852, it ordered 150 carbines for field tests by Dragoons stationed in New Mexico Territory and Southern California. Because it was an experimental weapon, only ten Sharps were issued to each company. Secretary Davis continued to press for congressional funds with which to purchase experimental weapons. In 1857, four hundred model 1855 Sharps carbines were purchased by the War Department. Ten carbines were issued to each of several Dragoon companies stationed out on the West Coast. Out in New Mexico territory, in 1858, Captain Richard “Old Baldy” Ewell raved that his 15 Sharps carbines were the best firearms available, and asked for more. Captain Davidson chimed in: “I am satisfied from trial and experience, that Sharpsï¿½ carbine is the best weapon yet known in our country for a cavalry soldier. Its range and accuracy are greater than those of the musketoon. It is a stronger arm; the soldier can make it last longer. . . One argument I had almost omitted to mention in favor of the Sharpsï¿½ carbine is that dragoon soldiers have more confidence in it than any other weapon I have ever seen put into their hands; and I have seen them use the musketoon, carbine pistol and minie rifle. 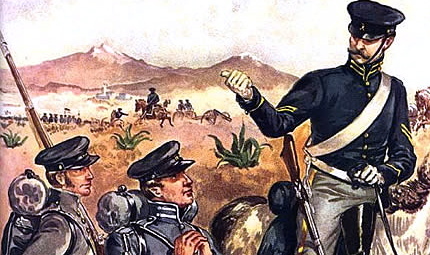 Give your soldiers but confidence in the effectiveness of their weapons, and they will give a better account of themselves than with those they can not trust.ï¿½ When Dragoon Companies B and K, enroute to Ft. Tejon, from Ft. Buchanan in New Mexico Territory, they were armed with the Musketoon and the M1841 Mississippi rifle. While stationed in New Mexico, they had been issued ten M1855 Sharps carbines per company. But these experimental weapons were the property of the Ordnance Department of New Mexico and, as such, were left behind. A number of officers chafed at the notion that a lowly enlisted man, often an immigrant, might be entrusted with Colt pistols worth between $25-$50. It is also important to bear in mind that company arms were, ultimately, the financial responsibility of the senior company officer. Lost revolvers could, thus, be charged against the officer’s monthly pay. Colt’s revolvers were easily stolen by deserters and sold on the black market. In late 1856, 25 second-model Colt revolvers were issued to Company A at Fort Tejon. Within weeks of the delivery, three Dragoons deserted, taking with them three pistols. The sale of stolen Colt’s became such a problem that General Order No. 19, issued August 16, 1859, decreed that any trooper who lost his Colt would have to pay $40. In 1856, the Army contracted with the Sharps Company to produce 4000 Model 1853 carbines. These weapons, sealed into tin can-like cases, along with a large order of Navy Colt revolvers, were crated and shipped from New York to California. They were placed in storage at the Benicia Arsenal. The Ordnance Department continued to issue the musketoon and Aston pistol. To the north of California there would be fought an engagement that would change the whole picture of mounted troops. On May 16, 1858, the Couer dï¿½Alene, Spokane, and Palouse Indians of Eastern Washington attacked a field force of three companies of Dragoons and 25 infantrymen marching under the command of Major Edward Steptoe. During a running fight, two companies of Dragoons, armed with the short-range musketoons, were deployed as a rear guard. In this firefight, they consumed a huge amount of ammunition–with little effect. Finally, the battered column gained a low hilltop and forted up. The Indians, many of whom had Hudson Bay trade muskets and rifles, soon formed a ring around the hill and banged away at Steptoeï¿½s beleaguered force. With men dying and ammunition down to three rounds per trooper, Steptoe buried his dead and made a run for the Columbia River and the safety of Fort Walla Walla. This embarrassing fiasco sent a shockwave through out the Army. warehouse in Benicia, California, dozens of boxes of Sharps carbines and Navy Colt revolvers. Clarke wanted the new weapons issued, and now! Beginning in July of 1858, Ordnance officers at Benicia uncrated, cleaned, and shipped hundreds of Sharps and Colts to Fort Walla Walla for the mounted units destined for the Spokane Campaign. Additional weapons were next shipped to Forts Crook and Tejon to re-arm the other Dragoon companies. Within weeks, Dragoons from Fort Tejon took to the field armed with their newly issued M1853 Sharps carbines. The Mojave tribe, angered by a new wagon road across their lands, were attacking emigrant trains. At a place near the Colorado River known as Beaver Slough, Mojave tribesmen boldly attacked the Dragoons. It was a mistake: the awesome firepower of Sharps carbines in the steady hands of veteran troops quickly drove off the attackers. In 1859, Inspector General Mansfield, on an inspection tour of California, witnessed a firing exercise by Brevet Major James Carleton’s company K at Fort Tejon. Mansfield reported that, despite the lack of sufficient powder in the experimental cartridges supplied by the Benicia Arsenal, half of Company K’s shots hit a 6′ x 22″ target at 100 yards. Carleton, never without a hot opinion, later wrote to the chief of Ordnance at Benicia and openly expressed anger over the poor quality of the experimental cartridges. Sharps carbines, like Colt’s, were popular with deserters. Stolen Sharps could be sold in Los Angeles for about $100 in gold coin. One 1st Dragoon sergeant took a detail into the pueblo of Los Angeles and then, graciously, allowed his men a night on the town; after the men had departed from camp, he gathered up their carbines and disappeared. In 1860, Dragoon trooper Henry Ott, the post butcher, got tired of army life. He procured three Sharps carbines and vanished in broad daylight. For good measure, Private Ott also pilfered a new Model 1855 Springfield rifle that had been sent to the Dragoons for field tests. He was never caught. The Dragoons of Fort Tejon rode out on their last campaign On April 12, 1860. Crossing the arid sands of the Mojave Desert as far as Las Vegas, they chased scattered bands of Pah-Utes who had been attacking mail carriers, cattlemen, and prospectors. Thus, in the final moments of pre-Civil War California, most of the Fort Tejon Dragoons had finally attained the level of armament that gun lore had always declared: they were elite troopers who were superbly armed! It had simply taken the Army 24 years to make fact match legend. Just wanted to thank you for all the information you have taken the time to put together. As I get older I am more and more interested in my family history as well as histories in general. My family has been in California for a very very long time. It was in doing searches on my family that I found your site. I am also a fan of percussion weapons as well as swords. That would be how I ended up in this section. Previous PostPrevious Letter from Jefferson Barracks, 1847: "I am disgusted with the duty."